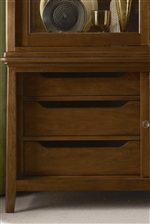 Find your bedroom storage solution in the Cherry Park Double Dresser. 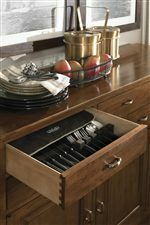 This dresser features eight drawers with champagne metal hardware to accommodate clothes, blankets, whatever you need to tuck away. 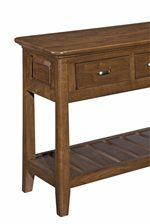 The natural finish of the wild black cherry wood will infuse your room with warmth, and the radius-tapered legs contribute a subtle modern touch. 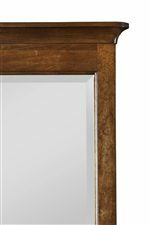 For a fabulous combination, pair with the Landscape Mirror. The Cherry Park Eight Drawer Double Dresser by Kincaid Furniture at AHFA in the area. Product availability may vary. Contact us for the most current availability on this product.